Article updated on February 4, 2019. Remember the phrase in high school, “It’s not a popularity contest”? Well, when it comes to marketing your product on social media, it actually is. Brand awareness and loyalty have a strong influence on purchase decisions. In fact, 75% of people have purchased something because they saw it on social. Therefore, getting Facebook likes and engagement correlates to your customer acquisition and retention. Here’s the kicker—it’s not just about getting likes or “fans” for your Facebook page anymore. You also want to increase engagement on the content you’re posting to that page. Because unfortunately, having someone follow your page doesn’t mean they’ll see all of your posts (or any for that matter). Affinity score measures how connected someone is to your page—in other words, how often are they interacting with your page and the content you post. 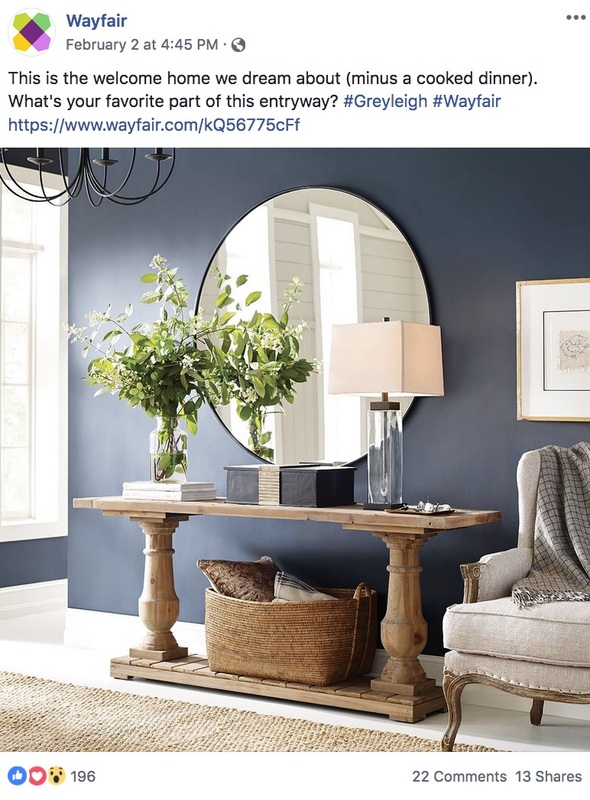 Edge weight is how popular the specific post is overall (measured off of the aggregate amount of likes, comments, and shares). Time decay is based on how old the post is. As with Google’s search algorithm, the magic equation for getting your content to appear early and often to consumers (or in Facebook’s case, the News Feed) is ultimately an ever-changing secret. But with lots of strategizing and testing, success is possible. So, how can you beat out the competition in Facebook’s “popularity contest” and get more likes? Let’s face it – we all have a short attention span. According to Chartbeat, most readers only scroll to about the 50% mark (or the 1,000th pixel) in an article. On social media, it’s even less. 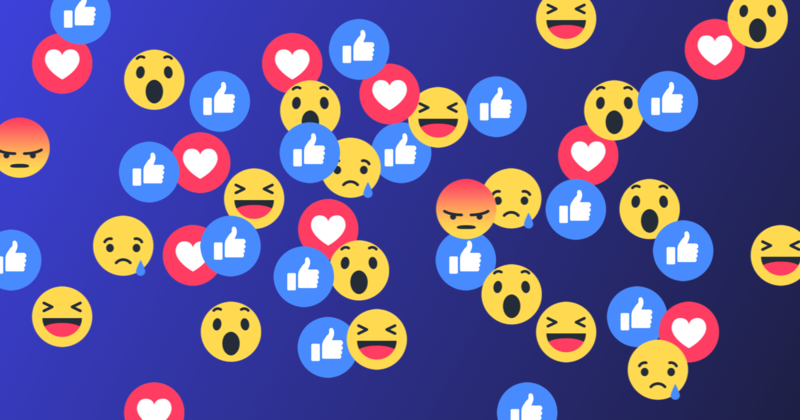 After analyzing 800 million Facebook posts, Buzzsumo found that shares with less than 50 characters were more engaging than those that were longer. So, moral of the story, keep those short and sweet. It is also important that you are including visual content in your Facebook posts. Even with the fancy text abilities available on Facebook, photos and videos are still the most engaging types of content. As for which is the most engaging–photo or video–Hubspot did their own testing and found that it really depends on the content being presented. This is why A/B testing your own content is an important step in getting Facebook likes and increasing engagement. 4. Experiment with timing and frequency. As with many things in life, timing is key factor into getting Facebook likes. If your audience is mostly asleep when you post, you’re not going to get good engagement. We found that the most popular time for people to share content to Facebook is on Tuesdays and Wednesdays from 9pm-10pm ET. Experiment with your posting time to see what gets the most engagement. As for frequency, Buffer discovered that pages with 5 posts per day resulted in highest overall engagement. Boosting a post incrementally expands your reach which is almost a necessity in the current Facebook climate of declining reach for business pages. Hootsuite explains the benefits of boosting posts and covers the simple steps required to make it happen. But if are serious about your Facebook strategy and getting more Facebook likes, you should think about a more encompassing paid promotion plan through the extensive ad capabilities available on the platform via Ad Manager. In 2019, this is the best bet for converting fans to customers and retaining them. To find out more about criteria and regulations for boosting posts, visit Facebook’s Help Page. By encouraging likes on your page and on your content, you’ll be able to reach more followers. And, in today’s connected economy, more followers equal more customers. If you’re a brand or have a business and you want to get more Facebook likes, get started by adding the Facebook Follow Button to your website today!